Insulin resistance is the main reason why its more challenging for you to lose weight with PCOS. About 80% of the women with PCOS have insulin resistance but if you're overweight chances are you already have an insulin resistance. Eat more weight loss foods while avoiding the sugary, salty & fatty foods you love as much as possible. Eat more protein by making at least 30% of your diet protein while making carbs less than 50% of your diet. Use this tool to determine the right amount of protein, carbs & fats in your diet. Tip: Eat more foods high in resistant starch like Navy beans, bananas & potatoes because resistant starch lowered insulin resistance or improved insulin sensitivity in overweight people by over 50% when taking only 15 grams of resistant starch per day! Follow these 10 rules to lose weight faster while exercising. Beginners: Do low-to-moderate activities like walking or swimming for 30-to-90 minutes per day. Exercise has been shown to lower or get rid of insulin resistance. The more overweight you are = the more likely you are to be insulin resistant whether you have PCOS or not. Get rid of insulin resistance with 1 of these weight loss plans to lose weight by eating right & exercising. Losing just 5% of your bodyweight (which is only 5-to-20 pounds depending on how much you weigh) will help lower your insulin resistance. Start off by adding Chromium, Vitamin B3 & Vitamin B-6 to your diet because a deficiency in those 3 Vitamins & Minerals can lead to insulin resistance. See 100 Ways to lower stress because chronic stress only makes insulin resistance worse. If you tried the other 7 things and you're still having a hard time losing weight with PCOS then talk to your doctor about Metformin because Metformin is a medication that helps lower insulin resistance in people with PCOS to help them lose weight easier. I've lost 125 pounds in one year. It was hard to imagine I could ever do this! Your website rocks, and so do u! You really helped a LOT! It was exceptionally hard for me, being i have a metabolic disease called PCOS. Hi Adrian I was recently diagnosed with diabetes. I chose not to take drugs but to do change diet and exercise more .I'm 5'2" 180 lost 30 lbs from the onset of the diabetes. I need to lose 50 more lbs to help reduce high glucose levels. Any suggestions? Hi, I have PCOS, fibromyalgia and quite severe depression. I walk using walking sticks or a frame and need a wheel chair for longer days out. I have had to give up work and struggle with household chores, even showering is exhausting. I was always very active, swimming, cycling, dog walking etc prior to the onset of my pain. I have 2 beautiful daughters and a wonderful husband and I have never been more miserable. I have never been this huge, I am 260lbs + and have no idea where to start! My world is getting smaller and smaller and I now seem to spend most of my life in bed. I rarely leave the house and don’t often see friends or family anymore. I want my old life back, I want to feel attractive and alive again. I want to go out. Hell, being able to see my feet again would be a minor miracle! I am going abroad on a beach holiday in 7 months and would love to be back down to under 175, is there any way I can do this? I've had pcos for about 12 years you name it Ive tried it every diet and diet pills can I ask you a question your telling me i can eat anything I want ants long as it's under 2000 calories I will lose weight ? Ladies, I'm reading all of your horror stories! We are PCOS Cysters! Go to the heathfood store, get 2 or 3 items, vitex, and organic turmeric (you can also buy from online) or turmeric and progesterone cream. PCOS is a hormonal imbalance; an autoimmune disease. You have to fix your hormones. Take vitex daily, turmeric helps with inflammation; which is how one of the internal side effects of PCOS. Go online and research golden milk ( it's made with turmeric and it's normally drank at bedtime). Progersterone cream helps to balance your hormones out as well. You just rub it on different place on the body. Look up Barbara Hoffman, PCOS on YouTube. Natural things work, but it takes a month to a couple months to kick in. I've been doing the above, and I am seeing positive results. As for the weight loss... if anything the pill occasionally makes you gain weight, not lose, but it's not a huge gain and it fluctuates.Yes, you can lose weight with some birth control pills. But you should talk to your doctor and see what pill is best for you. However, there're some weight loss supplements that help with weight loss and mummy magic weight loss tea is one of them. Hi, I need advice. I was diagnosed with PCOS 20 years ago. I'm 43. I am 5'5 and I weigh just over 210lbs. At my smallest, when I was a teen and early 20's I was 115lbs. I slowly gained weight through my 30's and especially after my pregnancy. At my largest I was 233. I've been stuck at 200-210 weight for 2 years. I am an AVID outdoors person. I cycle daily and walk daily. I walk, on average, 3 miles each day (3-4mph) with jogging intervals. I mountain bike (hard interval training) 20 miles each day, or roughly 2 hours. I also lift light weights. 3 hours of exercise, almost daily. I train and ride with triathletes and racers. They lose, I stay the same. My caloric intake. I have varied it from 1900 calories a day down to 700 calories a day and everything in between. For several months I lost weight when doing 3 hour of HARD exercise daily, and eating 1500 calories, but that weight loss stopped and I evened out. Thinking I plateaued I added different work out and food groups, but nothing has helped. If I go off my exercise and diet for more than a few days I pack the pounds on almost immediately. I eat boneless skinless chicken breast. Raw spinach. I don't use sauces. I use lemon juice, salt, pepper. I eat fiber like black beans, which I cook myself. For snacks, I'll eat 12-15 almonds or I'll have a high protein low sugar yogurt. Rarely do I eat bread. A nutritionist said that Oikos triple zero is decent. When I "splurge" I'll have a burger or a piece of pizza with my family. I am at my wits end. Suggestions? Additionally. I am on no medications. I do have a food journal that I keep fastidiously. I not only chart my food but all my activity through GPS apps and other apps as well as pen and paper. I just read page 2 of this blog (what to do if you're not losing weight) and I abjectly reject the example statement that just sitting around anyone over 200lbs can eat 2250 calories and maintain at 200lbs. Not only am I NOT eating that much a day, I am doing high intensity/low intensity and interval exercise, to the tune of several thousand calories daily and I'm STILL not losing weight. You're telling me that I'm basically eating 4,000-5,000 calories a day. I am not. There is something wrong with this information. I think that many people with relatively normal metabolisms ARE sitting around, ARE miscalculating their food intake and when they make changes the weight drops off. I am not one of those and I suspect many others are similar to me. I have the same EXACT problem. Although I'm on Lasix for water retention,armour thyroid for hypothyroidism, and Phentermine for weight loss. Yet I have been stuck at 225 for a full year. I run 5k's all the time, I am constantly working out and my calories are about 900-1100 a day. Yet I'm stuck. My doctor is completely baffled. If u would like to talk, and I'd love to talk to someone who is dealing with the same thing I am, please fund me on Facebook under Angel Britton Fears. I'm also on Twitter under Angel Fears. Please know I am in the same boat. I would love to hear from u. Maybe find a friend who knows how the other feels. I am in the same boat you guys are. Honestly, the only thing that helped was getting rid of carbs almost completely. I lost about 6 pounds in the past couple of weeks by following a near ketogenic diet. I'm 5'2" and 157, currently. My FB is my website, if you guys wanna add me to yap! Mrs. J., I don't have any advice for you, but just wanted to tell you I sympathize and feel your pain. In 2013 I weighed 138, and was a 4/6 clothing size. In 2014 I was 170 (no changes to anything I was doing), by 2015 I was 180; stayed there no matter what, towards the end of 2016 I was 212. Flash to today. I am 198. Understand that through the years nothing changed except as I got bigger I tried even harder. Most people go on a healthy diet and change. Not me. It doesn't much matter how much or little I eat; I stay the same or gain. I exercise 6-7 days per week, eat clean, watch my carb intake, pay attention to only eat foods that have a low glycemic load... my dr won't send me to an endocrinologist because "obesity isn't an endocrine issue"! I got metformin from my weight loss clinic but it doesn't work (lost 5 then gained 7!). One dr had the nerve to tell me if I was being honest and was really eating/exercising as I say I should've lost at least 20lbs. Really?! I meticulously enter everything that goes in my body, and I religiously work out. I had a registered dietitian say everything I'm doing looks great and maybe I'm just meant to be fat!!! Sadly, pcos is a women's issue and the medical field is predominantly male. As such, not enough research is done on it. Especially where obesity and pcos is concerned we are all fat because "we're lazy and not being honest about what/how we eat, and we're not being consistent with workouts. Because face it, if we were telling the truth we'd be losing". 😩. Anyway, just wanted to tell you, keep fighting and trying. Don't let the letdown of dr.'s or the scale make you give up😊! Thank you so much. I can relate to your post so well. You inspired me to not give up. Hi guys, I'm in the same boat as all of you. I was eating 600 calories a day and going to the gym for about 2 months and still not losing weight. Sarahsday is a youtube channel run by a very healthy and fit 24 year old named Sarah and she does not eat gluten or dairy, and eats a paleo based diet so there may be something in that. Hang in there, you're not alone! I really like how people insist that you are obviously lying when you tell them your struggles. I spent a couple years on keto, eating almost exactly 800 calories a day. I started at 300lbs and within 6 months I was down to 250lbs. That was it. My body rebelled against me. I started getting my period every second week. They came on hard and fast with plenty of bleeding and pain. I ended up in the ER and to my GP a bunch of times because the pain was so bad. I just got told the same thing every time: my falopian tubes were severely inflamed and just to keep going with the diet. I measured and weighed everything I ate and used My Fitness Pal to track it. I started getting constantly sick. Like easily catching colds and other bugs. I'd be so sick, I would sometimes not eat for days. But still, I was magically still at 250lbs. It defied everything I had ever read or had been told. Calories in, calories out. How the hell is that even possible? I was told to go below 800 calories a day. That was the point in which I gave up. I got no help for anything. So fine if they didn't believe me that I was properly tracking my every movement. But I had visible symptoms of something being wrong and I was just told to lose more weight. Nothing for pain, no advice on what I should do different, or god forbid, help for the depression I was suffering from all of this. So now I'm back to eating 1,000 to 1,500 calories and back up to 300lbs. I'm not sick so often, my period has regulated, but I hate myself more than ever. I feel both like a failure and that there is no help. I'm in the same exact boat. What the heck is wrong with us? I did low carb from Jan-July and lost NOTHING sams that's with exercising interval training and weights 4-5 days a week. Now I switched to a low carb version of weight watchers. Lost 2 lbs first week and am up 2 lbs this week following strictly and exercised 5 days this week for 45 mjniytws to an hour each time. What more can we do?? Do you recommend any apps that would help with calculations or food choices? I've noticed that there are a few pcos apps. Hi my names is Emily I'm 20 years old was diagnosed with endometreois 2 years ago and have just been diagnosed with pcos. I have tried every diet in the book and even the low carb diet that my doctor told me to go on I can not lose the weight and I exercise all the time. I walk every morning and every night and always go to the gym for 2 hours a day but nothing sheds the weight off. Help! what is your calorie intake? I was diagnosed with PCOS in 2008. I have been told I am insulin resistance. I have no children. I have been trying to diet but can't. I can buy the healthy food and it it for a couple of days but then if I eat any of it, it makes me sick and I want to throw up. I gave asked doctors what to do but receive no answers, except to keep eating it, doesn't matter if it is making me sick. What could be causing me to do that? I used to exercise but I get sick when I exercise. what exercsie did you do to make you sick? I was diagnosed with Endometriosis when I was 17, and PSOS when I was 21. I'm 37 now, and I've been taking Provera since I was 21 which was supposed to stimulate my cycle and hasn't. I've never had a menstrual cycle, but when I stop taking Provera I have severe pain. I am now diabetic and I have chronic kidney disease. Because of the Kidney disease I can't take Metformin, and I also can't eat anything with animal protein so I'm on a vegetarian diet. I sneak fish once a week though, but my main source of protein comes from beans and nuts. I'm allergic to milk and I have celiac disease, so not gluten or sugar (diabetic) for me. I have a really hard time finding diet plans that fit those requirements. I exercise all the time and I'm an avid hiker. In the last 5 years I've managed to drop from 270 to about 230 which is where I'm at now. 40 pounds in five years is a little depressing. I guess I can take comfort that I've haven't gained weight in 5 years, but I would really like to lose a little more. Any suggestions? I have PCOS but I am also breastfeeding. Is everything listed above safe for me while nursing or should I follow a different plan? Im 33 years old, diagnosed with pcos about 2-3 years ago. I have two children but my problem is insulin resistance. It all started about 4 years ago when my blood sugar dropped after eating. (I used to be thin athletic, 116 lbs with 5'6 and ALWAYS ate healthy meals). I gained around 40 lbs during all these years because there are food I just dont seem to tolerate. Like I will be hungry no matter what I eat. Lately my problem is at night. I feel that blood sugar low, but its not really low when I meassure it, i have an accucheck to measure my sugar levels. I used to be doing good last year but in december of this year 2016, till now it seems to be uncontrollable. I dont eat sweets i dont eat flour, or barely do, but still have these weird symptoms. Went to the doctor and he put me on metformin 500, to start with and a diet. I still feel somewhat odd, does this take long to work? When will I start feeling better and loosing weight? I miss my skinny body, im at 160 now and I hate it. I know how you feel!!!! I am also 33, 5'3" was always petite and athletic around 115-120 llbs, now up to 145 lbs and couldnt shake it despite exercising 3-5x's a week and a relatively healthy, normal diet. I was diagnosed with PCOS last year, no children and just started Metformin this week. I've noticed side effects of the Rx immediately. I plan to journal my meals more carefully. I'm hopeful this will help me lose the 15-20 lbs to help the insulin resistance. Good luck! I haven't started yet did, I did get a gym membership at Planet Fitness b4 I found this site lol. I have had PCOS since I was 19 now 33. Unfortunately, I was also diagnosed with Multiple Sclerosis last year Oct 6th. Also, have asthma. It is like a triple whammy lol. I can do pretty much what anyone else can just wondering what would be a good diet n exercise for me? Thank you. 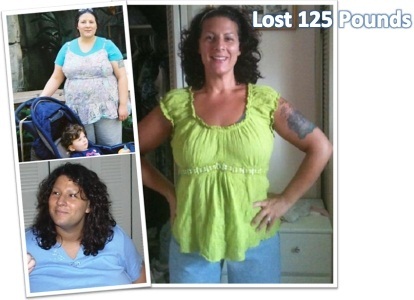 Great work Adryant, i'm really motivated to see those tremendous transformations. I'm 85 kgs n my height is 5 ft. I need to lose 30 kgs, what exercises would you recommend for me to shed extra 30 kgs faster? I am 22 years old.I was diagnosed with PCOS at the age of 16. Initially, i did not pay much attention to my irregular cycle and weight gain. Bt since last 2 years, i started taking it seriously.I was on metformin and some other medication for alomost a year but it had no effect. I started working out but had no control on my cravings. So even if i lost some weight,i used to gain it back quickly. But starting this june earlier, i joined a gym,started working out for 2 hours 6 days a week.My doctor put me on Normoz and Max D3 60k medication.I even started taking a protein supplement..Isopure, and began to eat healthy (fruits,veggies and some cereal for breakfast). I can easily control my cravings now.I have a sweet tooth and indulge in dark chocolate once in a while.. There has been no change in my cycle and i haven't got my periods for an year now.. I know i am going in the right direction, but i really want to speed up the weight loss process a little.Is it safe to take some fat burner? Or would you advice some other tips? I am severely insulin resistant. I have been eating like a figure/fitness competitor (6 small meals consisting of lean protein, complex carb & non-starchy veggie) since 2007. My body is not responding anymore. My body is stuck at 200 lbs (I am 5'7"). My husband had my switch to Keto with full fat & protein only meals and I have ballooned! He lost 47 pound living on jerky, nuts & full fat meat, and I gained. I worked out for an entire year straight with only 1 rest day per week...intense where clothes were drenched, with only 8 lb wt loss. 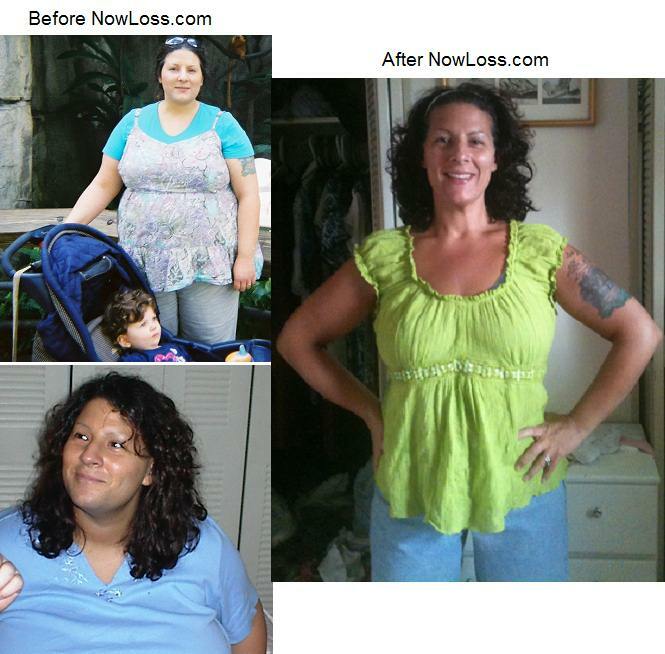 I need your help of there are other ladies having success with your program. I'm meera here. I'm suffering from pco since 8 year's. I have tried too many workouts and also took the proper diet. But stil I can't lost weight. I took metformin since 2 week's. What I should do to lose my weight ?